The ultimate skin and body therapy for maximum results Choose from one of the unique Elemis Advanced Anti-Ageing or Skin Solutions Facials and combine it with the powerful effects of the Elemis Deep Tissue Muscle Massage. Pure relaxation with dramatic results! Minimum time, maximum tension-relieving results Specifically targeting the back, shoulders and neck areas, where you need it most. SMuscle Melt: Relax and re-energise a tired and aching body. Hot stone massage Balinese stones bathed in Frangipani Monoi body oil, works deep into the muscles getting into areas of tension. The result is sparkling vitality with the bonus of intensely hydrating skin. (Lime and ginger or frangipani) Fragrant salt will gently slough away dead skin cells encouraging regeneration of new cells. It leaves a smooth and responsive canvas ready to absorb the deeply nourishing body oil. (Sweet orchid or frangipani) The velvety texture of the Monoi oil offers super hydration quenching a thirsty skin. You are kept cocooned and warm while the mood balancing aromatic and skin conditioning oils do their work. Tightening and toning are the pillars of this treatment. A powerful blend of salts, minerals and seaweed work together to target cellulite and poor skin tone on hips, thighs, abdomen and back of arms. The result is a targeted body air brush and skin that looks and feels intensely toned and refreshed. 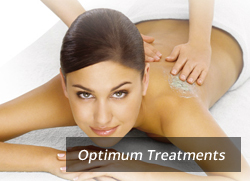 Treatment on one localised area: Arms, hips, thighs or abdomen. This crosses into the cosmeceutical skin care range. 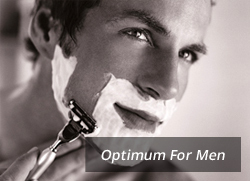 It provides special formulas to give outstanding results. This is an express facial using cosmeceutical products only, excluding the mask and massage.